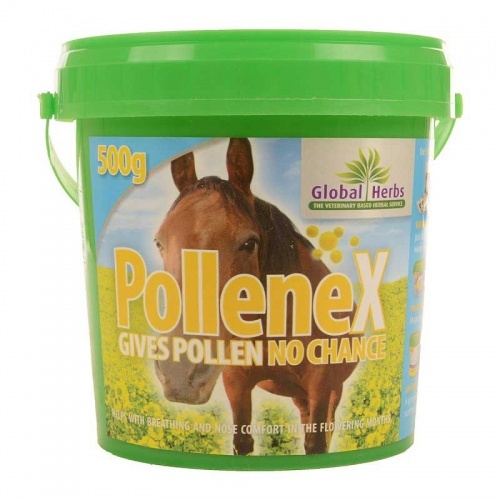 PolleneX from Global herbs is a herbal based traditional feed supplement for horses. 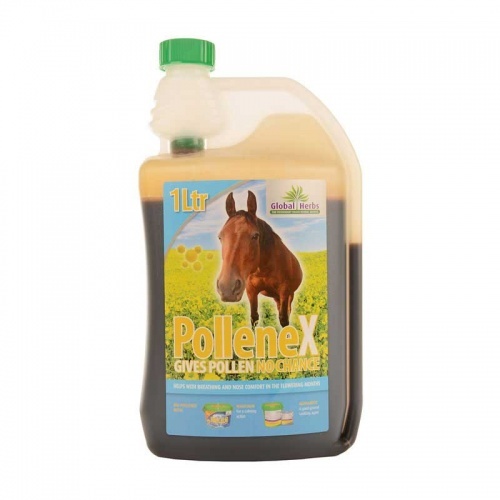 Helps horses and ponies affected by air born particles and pollens. Owners should start adding to feed in early spring. PolleneX offers help with breathing, nose discomfort and eyes during the spring and summer flowing seasons. 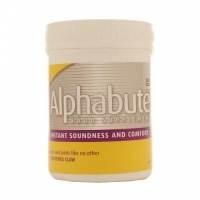 The powder form is stronger and more concentrated than the liquid. Ingredients include Turkey berry, Long pepper, Malabar nut and Liquorice. Can be used in conjunction with Weez, Alphabute. 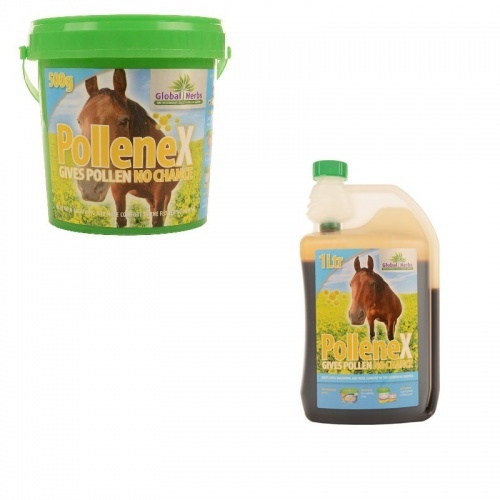 Available in Liquid 1ltr & 5ltr, Powder 500gm and 1kg.